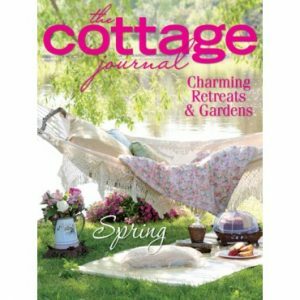 Spring is here and with it comes the latest issue of The Cottage Journal—packed with fresh, inspired style ideas for casual living. 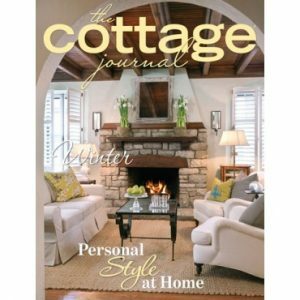 From the Midwest to New England, you’ll find personal decorating stories that will encourage new ways to refresh and brighten your cottage décor. 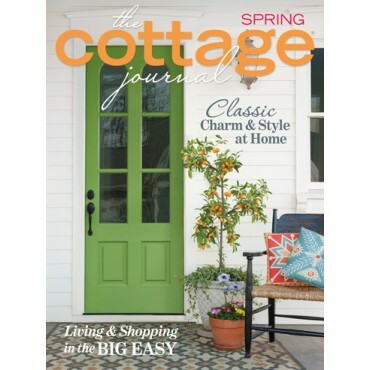 This issue focuses on expert design tips to embrace trends—like the 2017 Pantone Color of the Year—in a timeless fashion, as well as approachable methods for decorating with patterns, shopping in New Orleans, glorious gardens, and a charming weekend escape to Aiken, South Carolina. 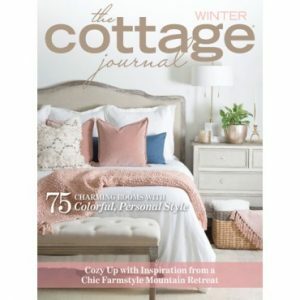 So as you prepare your home for the changing of seasons, find a comfy chair and dive in to these beautiful pages and let’s explore the best of spring ‘s cottage styling together.